1Not all sales at MSRP 2Not available with special finance or lease offers. Take delivery by 04-30-2019. 3Must qualify through GM Financial. Not available with special finance, lease, or some other offers. Take delivery by 04-30-2019. See dealer for details. 4Monthly payment is $13.89 for every $1,000 you finance. Example down payment: 4.4%. Must finance with GM Financial. Some customers may not qualify. Not available with lease and some other offers. Take new retail delivery by 4/30/2019. See dealer for details. The Chevrolet Trax, offered in Helena, is a compact SUV that's a joy to drive. It has a 1.4-liter turbo engine with a six-speed automatic, and drivers can choose from front- or all-wheel drive. This vehicle is fuel-efficient and gets good gas mileage for an SUV. It is a smooth ride, versatile and can handle any task, for you and your family. What are you waiting for? This vehicle is available for sale at our Helena dealership near Great Falls and Townsend. 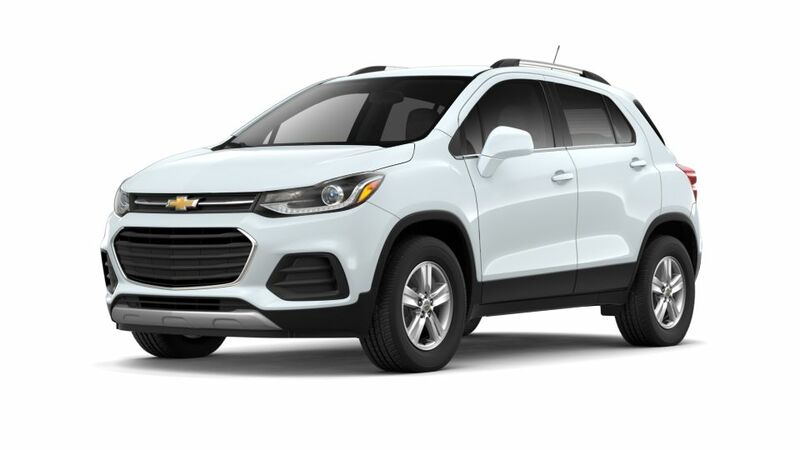 Look through the inventory of Chevrolet Trax models in Helena. If you wish to learn more about buying or leasing a , then simply give us a call at (866) 847-1478 or contact us online. We will be happy to help you out!